Sign Up Now to receive free Business Chinese lessons! Want to learn Business Chinese? Are you looking to learn Chinese for business? Learn not just the necessary vocab and grammar -- but to have the confidence to speak Chinese in real, live Business situations? Well don't worry, we’ve got you covered! To start off, we’re gonna give you a FREE class with a real tutor. Then we’ll help you plan your progress. We have curriculums for every level as well as custom business topics that you can choose from (like "干杯！How to say ‘Cheers' in Chinese). Each class student-focused and speaking based. 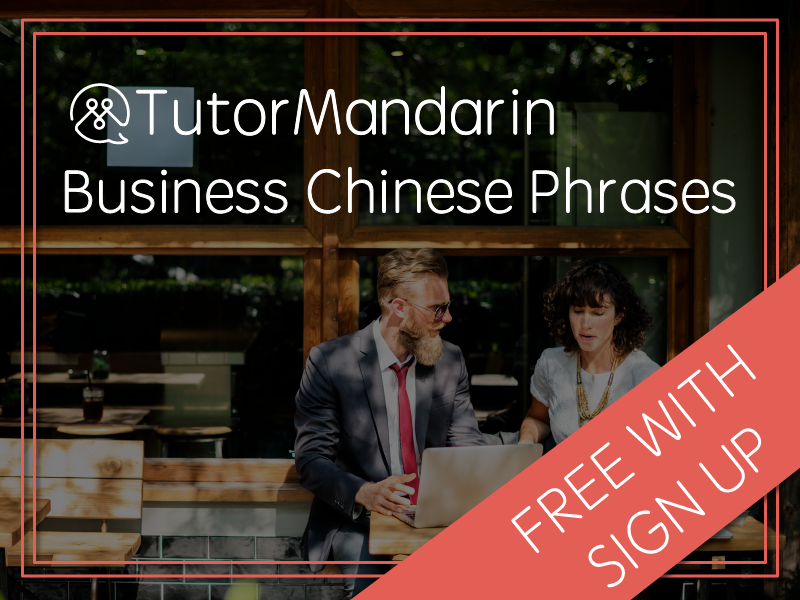 As soon as you sign up, we’ll send you a free Business Chinese ebook and PDF lessons straight to your email. Just as there are survival phrases for general Chinese, so too are there for business Chinese. Enjoy this free ebook from TutorMandarin which will teach you the necessary business vocabulary, phrases, and grammar to start making deals right away in Mandarin. Get the FREE ebook sent straight to your email with sign up.